Benton Harbor, Detroit, Flint, Highland Park, Inkster and Pontiac. What do they have in common? They are municipalities that, in recent years, had emergency managers appointed by the state or signed a consent agreement to avoid an EM. Buena Vista, Detroit, Highland Park, Inkster, Muskegon Heights and Pontiac? They are all school districts that are run by EMs, signed consent agreements or were abolished by the state. What else do these places have in common? They are all majority African American communities. There is a reason for this. During the civil rights movement of the 1960s, new laws and programs were enacted to equalize access to housing, jobs, education and health care. In Michigan, evidence indicates that overt racial prejudice waned, residential segregation declined, and interracial marriage and childbearing increased. A black middle class emerged and many of them moved into suburbs that were strictly off-limits to their parents and grandparents. However, this historic racial progress contrasts to the current reality – a reality that explains why the locations listed above are run by the state, not by local elected officials. The troubling fact is that the economic status of the average African-American resident of Michigan is much less favorable now than it was in 1970. The proportion of black men in Michigan who are employed has fallen sharply since 1970 and, at present, less than 50 percent have jobs. And black men who are currently employed at jobs similar to those held by their fathers in 1970 typically earn much less. In 1970, black men in Michigan had per capita earnings of $41,000 in constant dollars. Today it is $19,000. For black women in Michigan, the situation is similarly bleak. Their per capita earnings have risen but much more slowly over the last four decades than those of white women, increasing the black-white economic gap. The median household income of African Americans in Michigan was more that 80 percent that of white households in the late 1970s. By 2012, it was only 60 percent that of white households. The percent of black children in Michigan living in households with incomes below the poverty line rose from 30 percent in 1970 to 51 percent in 2012. Whites in Michigan have experienced very difficult economic times – especially since 2001. White households incomes have declined and the earnings of white men have fallen quite sharply. But the economic deterioration of African Americans has been much greater. For example, the proportion of white households in Michigan owning their homes has held relatively steady at 77 percent since the 1960s. At the same time, homeownership among blacks fell from 53 percent to 43 percent. Why has the economic status of Michigan’s African Americans declined so significantly over the last four decades? First, blacks – especially men – traditionally worked in the manufacturing jobs that firms eliminated through automation and the use of information technology. In 1970, 45,000 black men worked as machine operators or assemblers in Michigan. By 2011, this number was down to 14,000. Restaurants – particularly fast-food places – have replaced the motor vehicle industry as the leading employer of the state’s black workers. And restaurant wages are much lower than those in manufacturing. Second, the racial gap in college completion has grown significantly. In the early 1970s, young black women in Michigan were approaching parity with white women in terms of earning degrees. Thereafter, the enrollment rates of white women went up rapidly while those of black women rose slowly. Worse still, black men have fallen significantly behind white men – and black women, too – in college completion. Although the percent of black men in Michigan earning four-year degrees has risen slowly, it is no greater than the rate for white men in the 1960s. Clearly, not all African Americans have suffered a decline in their economic status. Those blacks with educational credentials to compete in the new, no-longer-segregated labor market may do quite well. And many of them move into the no-longer-segregated suburban ring. One-third of Detroit-area African Americans now are suburban residents. But this leaves fewer and fewer middle-income blacks in numerous Michigan communities. As a result, there is less commercial activity, home prices are dropping and some residents cannot pay their assessments, leading to a significant loss in tax revenue for local governments. So what will reverse the downward slide into emergency-manager status for many of Michigan’s largely black communities? Aggressive programs to create jobs for the unemployed would be beneficial. We tried this and it accomplished much here in Michigan. Depression-era programs such as the Works Projects Administration and the Civilian Conservation Corps put many to work. In 1940, four percent of Michigan men and 17 percent of African Americans were employed in such jobs. The vehicle industry is thriving in Michigan and that is good news. But automation has and will continue to reduce the need for workers. For instance, in manufacturing cars, it took 287 workers in 1987 to produce what 100 workers now produce. Finally, many believe that the key to improving opportunities for African Americans in Michigan is to increase their limited educational attainment. The 2001 No Child Left Behind Act was motivated, in large part, by the racial gap in education. It requires states to do much to ensure that students meet measurable goals and focuses upon racial differences. Michigan has taken many measures to improve education. Fundamental changes were made in the way Michigan supports local schools after the Kalkaska schools ran out of funds and closed in 1993.The state was among the first to charter numerous schools providing parents with alternatives to public schools. The state converted Highland Park and Muskegon Heights schools into charters. More recently, Governor Snyder established an Educational Achievement Authority to take control of the least effective five percent of schools. However, these innovations have, thus far, yielded only modest gains and Michigan remains quite far down the list when states are ranked by their students’ test scores, high school graduation rates or college completion. A report about racial change in Michigan should laud substantial achievements. African Americans can, pretty much, live where they wish, and pursue prestigious occupations that were closed to their parents. But for much of Michigan’s black population, employment opportunities are fewer, hours of employment are less, earnings are smaller and asset holdings are lower now than they were for Michigan blacks at the end of the civil rights decade. 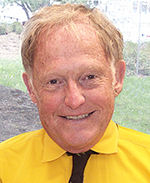 Reynolds Farley is a demographer at the University of Michigan’s Population Studies Center and a professor emeritus. His research focuses upon racial trends and demographic issues in the United States. He maintains Detroit1701.org, a website about the history and future of Detroit. “… African Americans can, pretty much, live where they wish, and pursue prestigious occupations that were closed to their parents. But for much of Michigan’s black population, employment opportunities are fewer, hours of employment are less, earnings are smaller and asset holdings are lower now than they were for Michigan blacks at the end of the civil rights decade.” Mr. Farley seems to be saying everything he wanted has been achieved and yet what he expected it to yield isn’t happening. If education is the barrier then why doesn’t Mr. Farley ask why there is this divergence of results and look for successes to better understand what can change it? Mr. Farley seems to be another in the Bridge mode that can that only see things as a grand problem so they only look for grand solutions, only see things in the aggregate and don’t look at the individual’s level, only see failure and don’t look for success, can only look to Lansing and other people’s money rather than look for where success is happening and try to show it to others. This pattern of writing/commentary in Bridge doesn’t seem to value the diversity of ideas, of perspectives, of solutions. Does Bridge define diversity solely by numbers, by who people are, by where they live? Haven’t they learned that diversity is about the competition of ideas, of activities, of actions, about what people do? Can they only seek consensus around singular approaches (Lansing and other people’s money)? Are they like Mr. Farley that see problems but never trys to understand the root causes? “A report about racial change in Michigan should laud substantial achievements.” I wonder why Mr. Farley doesn’t do that or why we don’t read about it in Bridge. For many the words spoken 50 years ago still ring true today; "...Segregation now, segregation tomorrow, segregation forever..." Governor Wallace 1963 inaugural address. It will take five generations to erase slavery and see the fruition of the 14th amendment. Thanks Mr. Farley for writing this article. I generally agree with the article. My disagreement would be in the degrees in some parts. A larger percentage of white people are falling in the same abilities as black. Our younger people without the ability of getting a higher education are in the same position as blacks. The 50's &60's brought many people from other states to Michigan. This was true with both black and white. we all worked in the factories. What happened? People became so independent and self-centered, businesses made lots of profits, both parents went to work became self serving ( didn't need a mate or partner to help) became single family parents. This is both black and white. Businesses were able to buy automation and if not ship the jobs to lower paying places. either the south, or other low paying countries. Plain speaking it was MICHIGAN BE DAMED and here we stand today. The 50's & 60's were when we had the American economy. sine then we have been in a world economy. Our manufacturing industries were the first to bear the brunt of becoming part of the world economy. I will offer some points later at the end of the workday, but this is a great article that brings to light a correlation---or causation---that many observers of the EM--majority black cities have not made: The placement of EM's is not about an issue of solely effective governance/management but the fact that the most basic financial means of supporting local governance cannot properly be realized if the economic status of citizens continues to trend downward. I don't think the object of Mr. Farley's article was to offer solutions, but to identify a problem. With forty percent of the households in Detroit and other high minority communities living at or below the poverty line, there is a problem. It is certainly a problem for them. I'm sure those living in poverty all wish for a better life. I think we need to look at what has allowed some minority individuals to succeed where others have not. Why have some been able to take advantage of educational opportunities and others have or did not? Is it the differences in individual initiative, the quality of education available, family dynamics, or something else? Perhaps in looking at those who have been successful we will find some answers that will help those who have not. Tom, I agree that the problem needs to be better defined and not just something people want. I also agree that the causes need to be identified and understood. I do think that we should dins those who have succeed and ask them why and how they succeeded and what were the barriers they had to overcome. I have seen expectations, cultural (peer pressure) emphasis, environmental stability (safe and secure and consistent), consequences and feedback all being factors at all levels of learning, whether in the K-12 classroom, college/journeyman apprenticeships, in the workplace training, even on the job training all be significant factors in how student achieve. Perhaps the statistics support one of the early statements that Mr. Farley danced around which one of the comments supported in a strange way from Gov. Wallace statement on segregation. Why not just say it racism now, racism tomorrow, and racism forever. Although it is easier to look at Black America and say this is the problem instead of looking at America as a whole and realize that real unemployment is higher now than our politicians acknowledge. Over the past 10 years there are over 4 million new jobs in China, and a few million more in India. To think that only black Americans and not all Americans are affected by this dilemma is pure foolishness and an attempt to ignore the realities of the world. During 2008 moving forward there have been over 12 million homes that went into foreclosure the majority were non black and make no mistake all of America suffered and continues to suffer. That marked a major redistribution of assets which will effect lifestyles for generations to come for working class people who overall either lost all or took at least a 40% hit across the board on their assets. Most of the losers were baby boomers moving toward what they envisioned as security. The plans to reduce pension, lowered wages, and break the middle class always starts with minorities but quickly turns into a class issue. What these Emergency manger situations really represent is a disregard for all people that vote black white or any color. Remember the whole state of Michigan voted against this process not just the black population in cities. Mr. Snyder moved around and pushed to the side the will of the voting population the majority white to do what he did. So if we keep looking at the racial flavor of this situation and not the reality that Mr. Snyder the local government highest ranking official said to the voters of Michigan that " I don't care what you want I will do it my way and redistribute the spoils through privatization to the haves and take more from the working everyday Joe because all they can see is the race card." There is a change in our society and the norm is different but it affects all of us. One of the comments from Byron said "I know of one small town in northern Michigan where 20 out of 22 Senior girls were or had been pregnant before graduation. All were white girls" If we continue to paint the problem with color then we become compliant with racism. Our national economic indicator indicate that there is more homelessness, uninsured adults and children, infant mortality, unemployment, underemployment, and people living below the poverty level in pure numbers than any other time in America including the depression if you look at real numbers. But we continue to define this as a race issue and not the new pyridine in America or the new normal. I am not sure what the broader answer is but I know if we keep compartmentalizing the problem and painting it the same way we will all sooner or later become a victim. The long and short of it is that we all lost the power of our vote if you live in one of the 8 cities that have EMs or anywhere else in the state. The voters across the state said no and Mr. Snyder said screw you I will be both Governor and Mayor and take the resources including the quality of life for those that have retired from their service to the people. I addition I will spend in excess of 18 million dollars on consultants from the east cost and not a dime with Michigan companies. The appointment of an EM in any city in Michigan was a statement that government is not by the people but to impose it will on the people. Look out all workers when the government can began to discuss how they can break a promise for work served and long term commitments made. JT, I look at the EM differently, I see them as trying to establish fiscal stability. I do see them as ignoring the politics of the citizenry, and working on ways to solve the dollars and sense problems. As best I can tell the power of the vote is what decided who was controlling the purse strings in the communities with the EMs and the voters were unwilling to make the changes to achieve financial sustainability, so the State stepped in with the EMs to cleanup accounts to return the power back to the voters. We have a local school district with an EM and all indications are that the Board of Education elected by the residents were unwilling to adjust the spending to match the enrollment changes and the finaning changes. The EM was brought in with the support of the Board and community because the debt had gotten be overwhelming. I'd suggest checking out Daniel Patrick Moynihan, and his paper and prediction from 1965 when the problem he cites were nothing compared to what they've become since. He is nothing short of prophetic and before calling him a racist, remember he was a liberal Democrat from New York and in the middle of Johnson's Great Society. Matt, His one flaw as a 'liberal' was that he looked at the consequences of actions/programs, including the unintended ones, and he resisted 'good intentions' when he saw the harm they would create. I don't have access to the article you mention, but it seems he talked about how the programs of the times would destroy the famliy unit of that period, especially of the 'poor' that the programs were caming to help. Matt, Thanks for the link and for the article title. I have found and saved both. From just a first blush they offer alot to consider that seems to be ignored in today's discussions. I do put a lot of stock in cultural influence, there are micro cultures within traditional cultures. I my city there is a culture that has developed with the access to City service, it supports the use of those services. While in a neighboring rural county there isn't as readliy accessable services and the culture is to be more independent. As an example the use of pre natal support is encourage while in my city and is used. In the rural county people are more self reliant and may not see medical care until delievery. And those are both the same ethnic cultures. I also see the point that the individual's respect, loyalty, sense of responsibility can be affected by earning an income. I think that one applies to all macro cultures. It is the micro cultures that can break that down, and undermine the family culture. This is a very good, well-written article. But I do have a couple of comments. Mr. Farley says, "Depression-era programs such as the Works Projects Administration and the Civilian Conservation Corps put many to work." Indeed they did, and were valuable short-term measures that helped alleviate very high levels of distress. But, however tempting their immediate benefits, they are not the appropriate long-term response. Such programs are essentially make-work programs, and, as such, are safety net, welfare programs. The Economist of January 18, 2014, in an article about the consequences of automation, says, " Another way in which previous adaptation is not necessarily a good guide to future employment is the existence of welfare. The alternative to joining the 19th century industrial proletariat was malnourished deprivation. Today, because of measures introduced in response to, and to some extent on the proceeds of, industrialization, people in the developed world are provided with unemployment benefits, disability allowances and other forms of welfare. They are also much more likely than a bygone peasant to have savings. This means that the "reservation wage" - the wage below which a worker will not accept a job - is now high in historical terms. If governments refuse to allow jobless workers to fall too far behind the average standard of living, then this reservation wage will rise steadily, and ever more workers may find work unattractive. And the higher it rises, the greater the incentive to invest in capital that replaces labour." Thus, measures designed to relieve present day distress may exacerbate our problem. Mr. Farley is absolutely correct when he says, "the key to improving opportunities for African Americans in Michigan is to increase their limited educational attainment. The 2001 No Child Left Behind Act was motivated, in large part, by the racial gap in education." Amanda Ripley, in her excellent book "The Smartest Kids in the World: And How They Got That Way," says, "Around the world, school systems that used regular standardized tests tended to be fairer places, with smaller gaps between what rich and poor kids knew. Even in the United States, where tests have historically lacked rigor and purpose, African-American and Hispanic students reading and math scores have gone up during the era of widespread standardized testing." Mr. Farley asks, "So what will reverse the downward slide into emergency-manager status for many of Michigan’s largely black communities?" The same policies that will help everyone. The Economist article says, "Claudia Goldin, an economist at Harvard University, and Mr. Katz have written that workers were in a 'race between education and technology' during this period, and for the most part they won." That is even truer today. Michigan, and the United States, is leaving an era when returns to education and cognitive skills were not crucial. That is no longer the case. Great work Bridge. Keep it coming. OK People, That's alot of intelligent discussion, but. How do we identify the cultural issues leading to societal break down? Which of those would be the easiest to change? What mechanisms can be put into place to effect change? Mike, I would frame the problem differently than Mr. Farley. Rather then talk about what went before and that it didn't not provide all the results hope for I would ask what are the root causes for the lack of jobs. Mr. Farley says it is lack of education, that over simplies and does not offer any path for others to explore. I believe it is a lack of marketable skills and would look for the barriers to peole acquiring those skills. Mr. Farley seems to rely on 'good intentions' and never seemed to be interest in tracking the performance of the programs those 'good intentions' were use to justify. I believe in the importance of access, but with that access there is a burden of responsibility which the successes to open did not consider nor should it have. Whether a student learns or not must start with the student, if they have no reason to learn or are discourage from learning/achieving then they are unlikely to learn. If the fail to learn then they will not acquire the knowledge and skills neceassry to make them valuable to an employer. In too many cases the subculture most influencial on the students discourage them from learning the basic woth ethics of showing up on time each day, showing approapriate respect for all people in their workplace, communicating are a necessary level, dressing appropriately, etc. Mr. Farley made a cursory observation and never seems to make an effort to look into the possible causes for the reality. I see it more about personal choice, Johnny doesn't read or learn math because Johnny doesn;t precieve that there is enough in it for him to justify the effort he would have to make. I would like to see what are the barriers to Johnny choosing to learn and gain the competetive knowledge and skills. To identify those barriers and methods to overcome them I would start by asking the students themselves, I would make a special effort to talk to the ones who succeeded, asking then about why and how they succeed and what they had to overcome. I would talk to those who didn't succeed asking them why they didn't, what discouraged them, who did them feel were their models, etc. I would keep asking why until I felt they has no more reason, as a rule of thumb asking why at least 5 times. First of all I understand that this is a journalistic article, not an academic one, but I would appreciate some documentation of the statistics and numbers included. "Finally, many believe that the key to improving opportunities for African Americans in Michigan is to increase their limited educational attainment. The 2001 No Child Left Behind Act was motivated, in large part, by the racial gap in education. It requires states to do much to ensure that students meet measurable goals and focuses upon racial differences." It's been 12 years since No Child Left Behind became law. What improvements have occurred since then? Schools are in worse shape now than they were then. The mania of testing has not improved student learning or decreased the "racial gap." The gap has grown larger because money has been spent more on testing than learning and school choice and charters has indeed left even more children behind. NCLB, choice and charters are now the status quo. It is not working. "Michigan has taken many measures to improve education. Fundamental changes were made in the way Michigan supports local schools after the Kalkaska schools ran out of funds and closed in 1993.The state was among the first to charter numerous schools providing parents with alternatives to public schools. The state converted Highland Park and Muskegon Heights schools into charters." Twenty years ago charters began. What has been the result? There are lots of conflicting statistics, none all that convincing. Charter scores should be much higher since they don't have to enroll any and every student the way public schools do. And Charter schools in high poverty urban areas still have scores well below the state averages. Successful students are usually the ones with caring parents who support their education and send them to charter schools . The result is more students in poor urban public schools with behavior and learning difficulties. Charters have a role especially in providing innovation in methods of teaching, but have lead to more and more problems for public schools. We can't afford to ignore these students in poorer and poorer districts. "More recently, Governor Snyder established an Educational Achievement Authority to take control of the least effective five percent of schools. However, these innovations have, thus far, yielded only modest gains and Michigan remains quite far down the list when states are ranked by their students’ test scores, high school graduation rates or college completion." The EAA "innovations" are more problematic. My guess is that a state run education will be a colossal fiasco, especially since it is based on corporate reformers' ideas of innovations, but we'll just have to wait and see. Overall, these measures Michigan and the country have made in the last 20 years are making student learning worse. I suggest everyone read Diane Ravitch's new book Reign of Error. She documents the mistakes of the Corporate reform agenda and how it is harming public education. The primary philosophical tenant behind Corporate reform is competition. Competition results in winners and losers which is fine for sports and business. However, it has led to more and more students being the losers. This is unacceptable. Chuck, All of the programs and activities never seemed to focus on the students and the practical side of learning, their desire to learn, they were/are all about a top down view that was turned into a means of control. I disagree with you on competition in society, it is not like a sports competition. In the competition of idea we can all will as each adds to the ideas making them more effective. Compatition is about adapting and improving, it is those who are unwilling that will fall behind. If it were all about winning and losing then we wouldn't have a continuous supply of new companies groing into bigger ones, others being integrated into others, and other disappearing. The reality is that companies must provide what the market place is willing to pay for and the competition is in the creation and innovation and value provided. Companies are accountable. The flaw in government activities is they are not accountable. A good example is the education system or the rollout of Obamacare, the same ones that were responsible for providing what is available are the same ones still providing the services and not improving results (no accountability). News article release just today shows low income Michigan 4th graders have not made any progress in reading over the past 10 years, this will most likely be the subject of a future Bridge article.